Rinse the brown rice and bring to a boil with 3 cups of water and cinnamon stick. Once boiling, lower heat to a simmer and cover. Let cook for 45-55 minutes. DO NOT lift the lid. Water should be absorbed at the end of the cooking time. Once done fluff with a fork. Do not eat the cinnamon stick but it can be left as a decorative touch. In a large skillet toast the cumin seed, coriander seeds, fennel or ajwain, peppercorns, and poppy seeds. Once they become fragrant remove from heat and place in a food processor or food mill and pulse into powders. Add ¼ c coconut milk. In the same skillet toast mustard seed and turmeric powder. 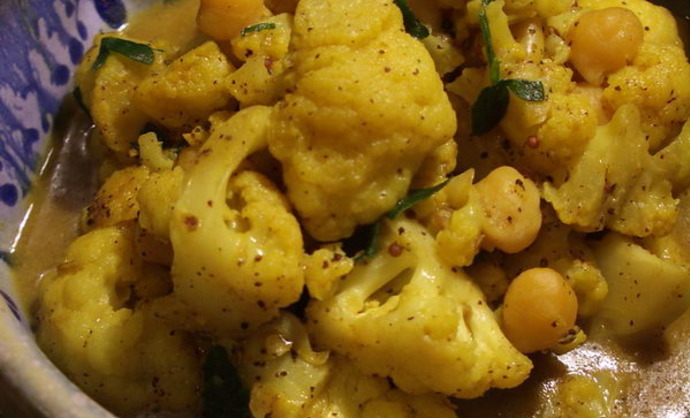 Add olive oil, ginger and sauté cauliflower. Add 3 T water, cayenne and curry powder. Add coconut milk mix and the rest of the can. Heat until bubbly and add the chickpeas. Season with sea salt. 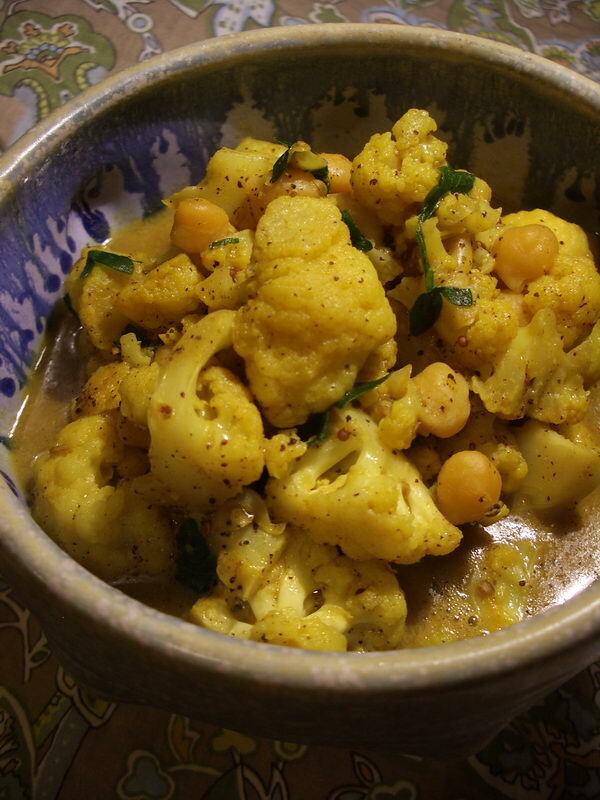 When cauliflower is soft add the cilantro or parsley. Serve with the brown rice.